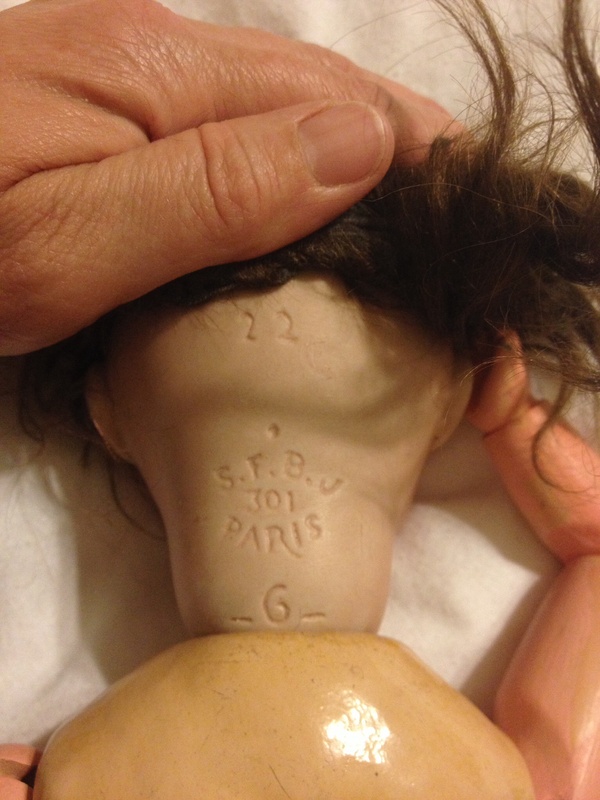 She is marked on the back of her head “SFBJ 301 Paris” and the numbers 22 above, and 6 below. The SFBJ stands for “Société Française de Fabrication de Bébés et Jouets” a French doll company. 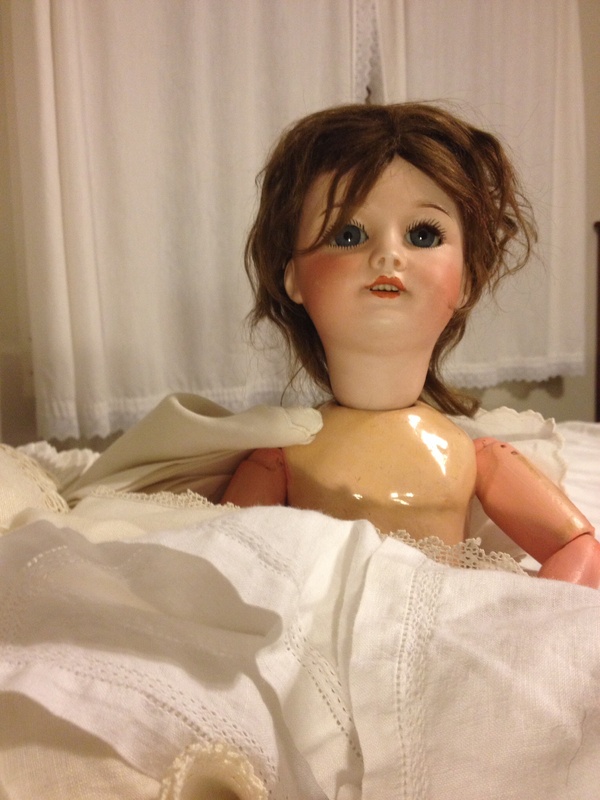 SFBJ was a sort of aggregate company of many French dollmakers from 1899 to the 1960’s. We believe the 6 refers to her size, although she has a 5 stamped into the sole of her foot. Not sure what the 22 means, but we hope to find out. Her ears are pierced, and her wig is hair sewn to what looks like muslin. If we peel back her wig, we find what looks like masking tape at her hairline, and underneath that a corky substance on the crown of her head where the bisque ends. Her legs and arms have been, we think, repainted. Her torso is cracking a bit at the bottom. Her hair is a mess, but very sweet! Next up, measurements and some clothes! Tags: antique doll, SFBJ, SFBJ 301, SFBJ 301 Paris, Société Française de Fabrication de Bébés et Jouets. Bookmark the permalink.